Sorry I’ve been quiet on the news front but here’s something to keep the ball rolling, Corporate Skull will be appearing in The Guardian (in their Guide supplement), every fourth Saturday in the month. A glorious blast of technicolour Corporate Skull, starting TODAY. In today’s edition! 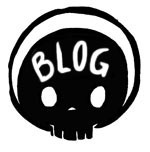 So please do check it out, it’s fun exploring Skull in this new medium while the webcomic is paused. Customer Success Champion, I think Curb need one. Fantastic to hear! Good to know Skull is just on a webcomic hiatus instead of living in an uncertain world where something may or may have not happened to you. Glad to hear you are still very much alive and kicking. Long time reader, first time commenter…commenting…commentee…meh. Anyway, I have read…what I now believe to be a true representation of the history of the human race(Corporate Skull, as if it wasn’t obvious) 3 times in recent years and also I have told many many others to do the same, even Americans, who whilst they do not always get Skull’s humour find it very funny when he or even Toast is on screen with their floppy sausage out. I am writing this today to kindly request one thing…Please write more Jamie. All I want for Christmas is an Amazon Alexa (which I got on a black Friday deal, WIN) but for new year I would love to be able to read new Corporate Skull…that said I will need to learn how to read first as just looking at the pics doesn’t do it justice.